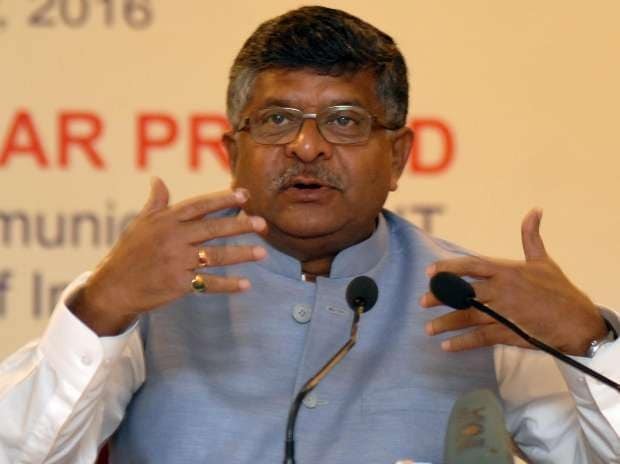 India is sitting on the cusp of a “digital revolution”, Union Minister for Communications and IT Ravi Shankar Prasad has told leading IT firms, asking them to take advantage of the “Digital India” initiative and tap the growth opportunities in the country. Speaking at the roundtable for top US and Indian IT firms, hosted by the US-India Business Council (USIBC) in Massachusetts yesterday, Prasad said that there are tremendous growth opportunities in India. “India is sitting on the cusp of a digital revolution. Whether it is big metropolitan cities or small towns, a well-connected India has the potential to not only usher in economic and welfare opportunities for its citizens, but also for the global economic order,” Prasad said at the round table attended by senior executives of Google, AT&T, MasterCard, Facebook, American Tower Corporation, UST Global and iTech. “Our government is taking every policy decision in a transparent, predictable and reasonable manner. Therefore, I encourage American businesses to take advantage of the Digital India program, and the growth opportunities in India,” said Prasad, who is here to attend the annual India Conference at the prestigious Harvard University. Prime Minister Narendra Modi's directive to connect Indian diaspora across the country is a tremendous opportunity for both Indian and US companies alike, said Mukesh Aghi, president USIBC, which comprises 350 top-tier US and Indian companies advancing US-India commercial ties. “We encourage the development of policies that clear bureaucratic hurdles which may delay the implementation of achieving last-mile connectivity,” he said. Noting that 85 per cent Indians still do not have access to the Internet, Aghi said therefore, to fill this gap the government could make it easier to obtain clearances to install cell phone towers. “IT infrastructure can be further expanded by lifting the ban on foreign satellite operators so they can provide spectrum in hard-to-reach areas,” Aghi said. Dan Gupta of UST Global estimated that the Digital India initiative could help boost India’s gross domestic product (GDP) by around USD 550 billion — upping its GDP by USD 1 trillion by 2025 — a historic growth that can only be fostered by encouraging cooperation between the two nations. “Industry commends the government's continued efforts on the passage of important economic reforms such as the Goods and Services Tax (GST) bill that will simplify the indirect tax regime and allow an individual to start a business with ease,” Khurana said.